Known for their exceptional accuracy and durability, Cleco tools have long been recognized as the standard for assembly tools. They are designed to withstand the demanding requirements of high repetition assembly lines and overcome the most complicated application requirements while delivering unprecedented performance in both safety critical and quality critical applications. 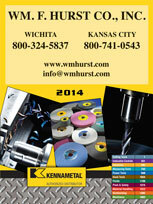 If you want to purchase Cleco assembly tools for your business in Kansas City, Wichita, Dallas, Fort Worth, or a surrounding city in the Midwest, then the ideal place to turn is Wm. F. Hurst Co., LLC. 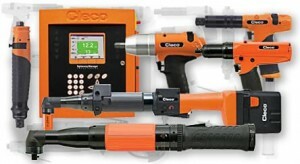 In addition to Cleco assembly tools, we offer several other types of industrial tools, including Sugino air feed drilling equipment, Bosch Rexroth pneumatic tools, Kennametal cutting tools, Top Cat material removal tools, and more. We also offer a wide range of industrial supplies, including coated, bonded, and non-woven abrasives, semi-synthetic and soluble oil metalworking fluids, and safety supplies. Contact us today to learn more about our selection of Cleco tools or any of the other industrial tools and supplies we sell. Wm. F. Hurst Co. proudly serves businesses in Kansas City, Wichita, Dallas, Fort Worth, Joplin, Sedalia, and many other cities in the Midwest.